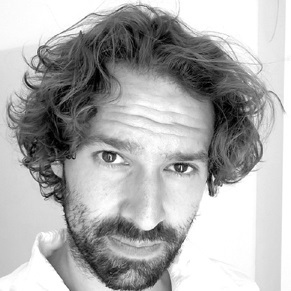 Pedro Casas is Research Scientist with the Austrian Institute of Technology (AIT) in Vienna, Austria, working at the Center for Digital Safety & Security. 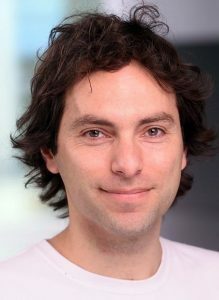 He received an electrical engineering degree from the University of the Republic, Uruguay, in 2005, and a Ph.D. degree in computer science from Télécom Bretagne, France, in 2010. He held Research and Teaching Assistant positions with the University of the Republic between 2001 and 2012, and was at the French Research Laboratory LAAS-CNRS, Toulouse, France, as a Postdoctoral Research Fellow between 2010 and 2011. Between 2011 and 2015 he was Senior Researcher with the Telecommunications Research Center Vienna (FTW) in Austria. 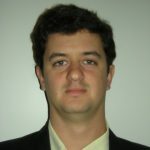 Pedro Casas has been working as project manager and technical work leader in multiple national and international projects, including both research and commercial projects. He is currently project leader of the Austrian WWTF Big-DAMA project, as well as project leader of the EU H2020 MONROE-Mobi-QoE project. Before he was work package leader at the EU IP mPlane and the COMET ACE projects, and worked as researcher at the EU IP DEMONS project, the EU ECODE project, the COMET DARWIN project and the SticAmSud MAITRE project. He regularly serves as chair of multiple international workshops on networking (ACM SIGCOMM workshops Big-DAMA 2017, Internet-QoE 2016/2017 and LANCOMM 2016, TRAC workshop series, ITC 2017 Conference – Area Chair on Measurements and Big Data Analytics), as well as publicity chair of major networking conferences (TMA 2017 and CoNEXT 2017). He also serves as chair of the IEEE ComSoc ITC Special Interest Group on Network Measurements and Analytics (NMA). He has served as PC member in multiple international conferences and workshops in the Internet measurements domain, including IFIP Networking, ITC, TMA, CAMAD, WNM, etc., and served as reviewer for multiple international journals such as IEEE JSAC, IEEE TNSM, IEEE TCCN, ACM CCR, etc. His research interests span the monitoring and analysis of network traffic, network security and anomaly detection, QoE modeling and automatic assessment, as well as machine learning and data mining based approaches for big data analysis. He has published more than 100 networking research papers in major international conferences and journals, and was recipient of seven best paper and best workshop awards in the last 6 years. Tanja Zseby received her Dipl.-Ing. degree in electrical engineering and her Dr.-Ing. degree from Technical University Berlin, Germany. 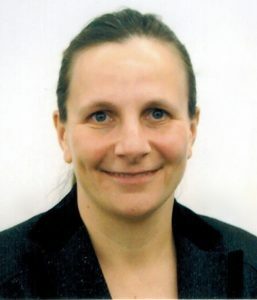 Before joining TU Wien she was head of the competence Center for Network Research at the Fraunhofer Institute for Open Communication Systems (FOKUS) in Berlin, Germany. From September 2011 to February 2013 she was a visiting scientist at the San Diego Supercomputer Center at the University of California, San Diego (UCSD) and joined TU Wien in March 2013. Marco Mellia graduated from the Politecnico di Torino with Ph.D. in Electronic and Telecommunication Engineering in 2001. Between February and October 1997, he was a Researcher supported by CSELT. He was a Visiting PhD Student starting from February 1999 to November 1999 at the Computer Science Department of Carnegie Mellon University, where he worked with Prof. Hui Zhang and Ion Stoica. From February to March 2002 he visited the Sprint Advanced Technology Laboratories Burlingame, California, working at the IP Monitoring Project (IPMON). During the summer 2011 and 2012 he visited Narus Inc, Sunnyvale, California, where he worked on traffic classification problems. Since October 1st 2014, he’s working at the Dipartimento di Elettronica e Telecomunicazioni at Politecnico di Torino as an Associate Professor. He has co-authored over 200 papers published in international journals and presented in leading international conferences, all of them in the area of telecommunication networks. He was awarded the IRTF Applied Networking Research Prize in 2013, and the best paper award at ACM CoNEXT 2013, IEEE TRAC 2015, IEEE ICDCS 2015 and ITC 2015. He participated in the program committees of several conferences including ACM SIGCOMM, ACM CoNEXT, ACM IMC, IEEE Infocom, IEEE Globecom and IEEE ICC. He is Area Editor of ACM CCR, and part of the Editorial Board of IEEE/ACM Transactions on Networking and of IEEE Transactions of Networks and Service Management. He holds 7 patents. His research interests are in traffic monitoring and analysis. He has been the coordinator of the mPlane Integrated Project that focuses on building an Intelligent Measurement Plane for Future Network and Application Management. Alessandro D’Alconzo received the M.Sc. degree in Electronic Engineering with honors in 2003, and the Ph.D. in Information and Telecommunication Engineering in 2007, from Polytechnic of Bari, Italy. He is Scientist in the Digital Safety & Security department of AIT, Austrian Institute of Technology. From 2007 to 2015, he was Senior Researcher in the Communication Networks Area of the Telecommunications Research Center Vienna (FTW). From 2008 to 2013 he has been Management Committee representative for Austria and Secretary of the COST Action IC0703 “Traffic Monitoring and Analysis”. He has extensive experience in contributing and managing EU funded projects, as well as in applied research projects in the field of network traffic measurements in collaboration with national telecommunication operators. His research interests embrace network measurements and traffic monitoring, ranging from design and implementation of statistical based anomaly detection algorithms and root cause analysis, to Quality of Experience evaluation, and application of secure multiparty computation techniques to cross-domain network monitoring and troubleshooting. Félix Iglesias was born in Madrid, Spain, in 1980. He received the doctoral degree in technical sciences in 2012 from the Vienna University of Technology, Austria. Previously, he obtained the dipl.-ing. degree in electronic engineering and the dipl.-adv. studies in information technologies from the La Salle URL, Barcelona, Spain. He has worked on fundamental R&D for different Spanish and Austrian firms. Beyond researching and project development, he lectured in the fields of electronics, physics, automation, machine learning and data analysis. From September 2013 he holds a position as a Postdoc University Assistant at the Telecommunications Institute of TU Wien, doing fundamental research in network security and anomaly detection. 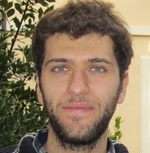 Andrea is Ph.D. candidate at the Electronics and Telecommunications department of Politecnico di Torino. 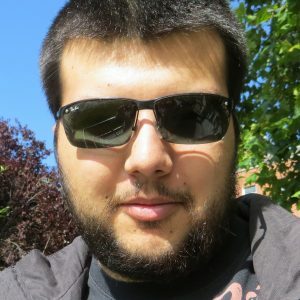 He is working on network security and anomaly detection using clustering techniques and big data platforms. Daniel is Ph.D. candidate at the faculty of electrical engineering and information technology at the Vienna University of Technology. 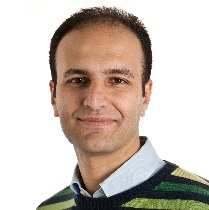 He is working in the area of Network Security, Anomaly Detection and Big Data. Juan is Electrical Engineer and Master of Science candidate at the Electrical Engineering institute of the University of Uruguay (UdelaR). He is working on machine learning tools and techniques for network security and anomaly detection using big data platforms.